Isn’t this the neatest Gingerbread House! 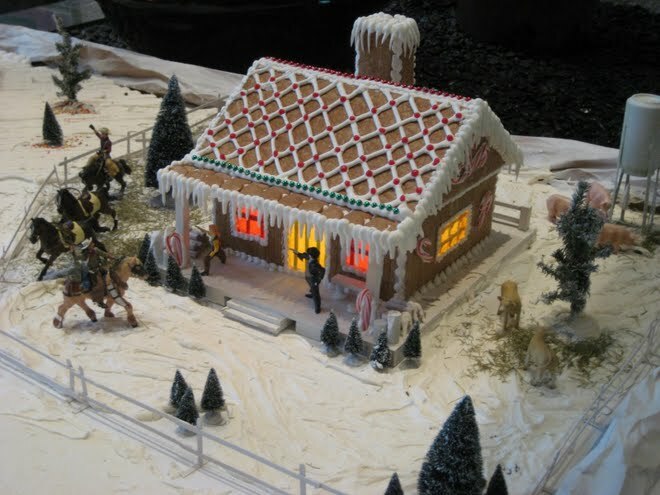 This “Texas” Cowboy Wild West Themed gingerbread house has the traditional elements of a gingerbread house but takes on a special theme of “Texas” complete with cowboys on the porch having a shoot-out and cowboys on horseback in the front yard with horses. Neat and fun this gingerbread house is!